Product information "Coarsely knit cashmere cap cyan blue"
Pure, coarsely knit cashmere wool – the perfect accessory for chilly days. This fluffy cashmere cap is so light and sot that will never want to take it off. This classic winter accessory has a softly knit band that is either features a matching or contrasting colour. This timeless accessory does not itch. The high quality workmanship is evident. Thanks to the variety of colours, you are sure are find a favourite for both him and her. 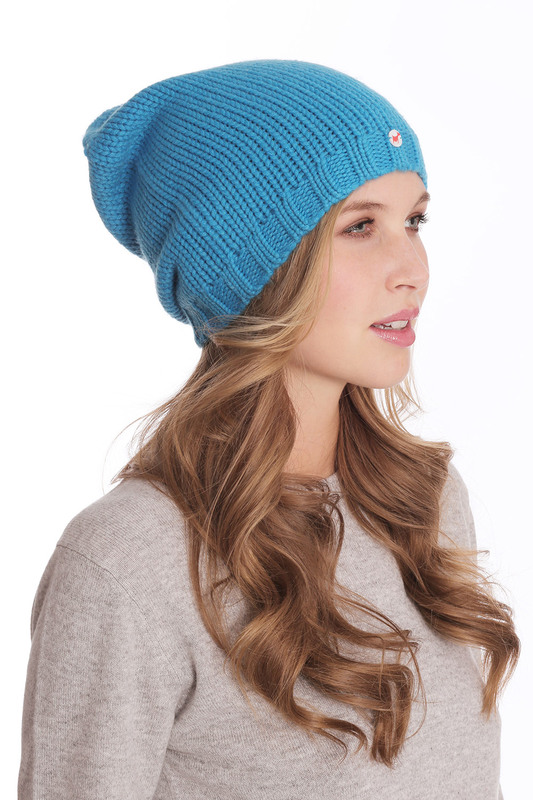 Related links to "Coarsely knit cashmere cap cyan blue"